Air Arabia, the Middle East and North Africa's largest low-cost carrier, has announced plans to introduce a new European destination, Prague, Czech Republic, direct from Sharjah, UAE. 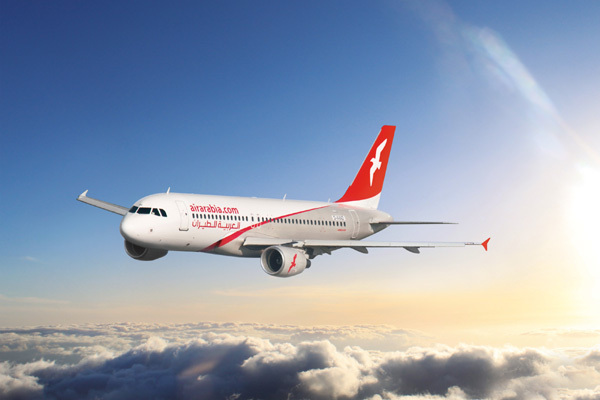 Air Arabia’s inaugural flight to the city will commence on December 11. The 6-hour 50-minute flight will operate five times per week - every Tuesday, Wednesday, Thursday, Saturday and Sunday. On Tuesdays and Sundays, the flight will depart Sharjah International Airport (SHJ) at 08:00 hours and arrive at Prague Václav Havel Airport (PRG) at 11:50 hours, and on the return leg, the flight will depart from PRG at 12:35 hours and land at SHJ at 21:40 local time. On Wednesdays, Thursdays and Saturdays, the departing flight with leave from Sharjah at 15:30 hours and arrive in Prague at 19:20 hours; the return flight will depart Prague at 21:05 and arrive in Sharjah the following morning at 06:10 hours.